Dr.R.R.Kapur is an eminent Homoeopathic Consultant of North Delhi. He is in private practice since 1980. 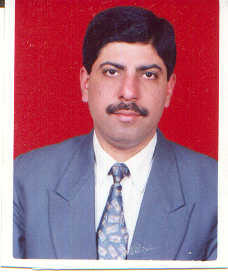 He has a good experince in the field of chronic diseases and their homoeopathic treatment. Besides classical homoeopathic prescribing he has extensively studied and has good experience in other modes of prescribing eg Septanate Mixtures, Homoeopathic Balances,Bach Flower Remedies and and selection of remedies by Dowsing. He has great interest in the field of Alternative Medicine. So he is also practising Acupressure, Magnet Therapy and Reiki Healing since 1998. He is a Reiki Master and teaches all levels of Reiki. Homoeopathy is the finest system of cure available to mankind. In Homoeopathy the Highest Ideal Of Cure is rapid gentle and permanent restoration of healthor removal and anhilation of disease in its shortest most reliable and most harmless way . Homoeopathy is based on the law of Similars- Similia Similibus Curantur, which means like is cured by like. Hmoeopathy is a Holistic system of medicine , in which we treat the patient as a whole taking into account the role of body mind and spirit not just the disease. Homoeopathy believes in the concept of Vital Force, which when becomes disturbed through disharmonious living and thinking, a manifestation of symptoms takes place which we call disease. In homoepathy we treat the patient by taking into consideration his constitution, his mental makeup, his desires and aversions, eating habits, hisreaction to hot and cold weather, his sleep, dreams, his past and family history of chronic diseases. Such a treatment boosts the Immunity of the patient and is only Real Permanent Cure of various chronic diseases. Ther is a general impression that homoeopathy is slow acting. This is not true, properly selected remedy acts very fast in acute diseases but in chronic diseases themselves takes a long time to get completely and permanently cured by homoeopathy because it does not suppress the symptoms nor give temporary relief but reach the root cause of disease and eradicate it. Homoeopathic medicines are generally free from any side effects. Acupressure is one of the oriental therapies which use specific points on the skin to favourably influence the internal organs of the body. These points are pressed by fingertips or other suitable appliances. There ar e12 meridian lines spread all over the body which are channels through which life sustaining forces or energy fowed. Various points of acupressure are situated on these meridians. Acupressure is a time tested mode of treatmernt, very safe and proved efficacious and useful in anumber of chronic diseases eg. Arthritis, Cervical spondylosis, Slipped disc, Lumbago, Sciatica, Paralysis, Frozen shoulder, Migraine, Asthma , Gastric troubles to name a few. It is a new science which treats diseases through sutable artificial magnets. One or more magnets are usually kept in contact of the diseased parts of the body. All organs of our body exhibt electrical activity, when the electrical status of an organ is disturbed , disease results. Magnets restores the normal electrical status to the diseased organs or parts thereby eleminating the diseases. It is simple safe yet effective mode of treatment. We treat various chronic diseases by a combination of Acupressure and Magnet Therapy. Reiki Healing is also used whereever required. Reiki is an ancient healing system rediscoverd in the middle of 19th centuary by Dr. Mikao Usui of Japan. Reiki can be defined as a Universal Life Force Energy. Reiki is a healing technique by laying on of hands. It is very simple yet powerul technique that can be learned by anyone. Reiki is not taught in the way other healing techniques are taught. It is transeferred to the student by the Reiki Master during an attunement process. Once a person has been opened up to become a channel for Reiki, concentrated Life Force Energy starts flowing through his hands of its own accord and he will retain this ability for the rest of his life. Reiki is a spiritual healing technique that is unique. While Reiki is spiritual in nature, it is not a religion, cult or blind belief and there is nothing you must believe in order to learn and use Reiki. It is one of the Alternative healing technique now publically recognised all over the world. Reiki effects positively one's physical. mental and emotional spheres. It removes negative energy. It boosts the body's own immune system to increase resistance against various diseases. It is free of any side effects and is very effective in the reatment of various chronic diseases. It is always beneficial and improves the results of other types of medical treatment, it reduces the side effects of modren medicines and shortens healing time. Reiki reduces stress induced by todays modren life and help creates optimism. At an advanced level Reiki is even helpful in healing relationships and improving one's financial status. Those who are interested to learn Reiki can contact Dr. R. R. Kapur. Two third of Humanity is suffering from various chronic ailments. Despite many advances in modern medicine, there is an alarming rise in the incidence of chronic diseases. Every second or third person is suffering from either High blood pressure, Diabetes, Arthritis , Back pains, Allergies, Gastric troubles, Anxiety, Depression etc. There are manyfold causes behind such an increase in the incidence of these diseases. The biggest cause is the suppression of acute and chronic diseases with strong modern medicines. The suppression and palliation of symptoms leads to decreased resistance of the body , it cannot be called a permanent cure and makes the body predisposed to various chronic diseases. Other causes includes pollution of Air, Water and Earth, decreased nutritional value of our food, increased consumption of artificial refined foods which are devoid of nutritional value, and the last very important factor is the stress and strain induced by modern life. More and more people are now getting fed up by the modern medicine, although it has it s own importance in acute emergencies, surgical cases etc. More and more people are turning to Alternative modes of treatment. So it is a small attempt to enlighten the common public about the merits of Alternative modes of treatments, the most popular and widespread among them is Homoeopathic system of treatment, which had proved its efficacy over a period of 200 years. Acupressure and Magnet therapy are also emerging and getting popular for the treatment of various chronic diseases and lastly Reiki Healing which was introduced in India by an American Reiki Master Paula Horan a few years ago is fast gaining gaining popularity especially among the elite masses. All these systems are Holistic in nature which believes the origin of the diseases in the disturbance of Bioenergy of the body and the cure lies in retoration of that disturbed Bioenergy. These alternative systems can very well compilment each other and gives a great solace to suffering humanity. So I recommend to all people suffering from chronic ailments to take the help of Homoeopathy, Acupressure, Magnet therapy and Reiki Healing so that they should regain their health fast. I also recommend a diet full of fresh vegetables and fruits and to stay away from refined foods and drinks as far as possible. Besides this every health conscious person should do mild exercises, walking, yoga and meditation to nutralise the effects of stress and strain of our day to day living. I hope and pray to the Almighty that every one should follow these natural principles and remain healthy in body, mind and spirit.